What’s disgraceful Mr Smith is your refusal to publish these statistics and the only thing “frightening people” are YOUR harsh policies! Iain Duncan Smith has attacked a ‘disgraceful’ effort to reveal the number of people who died after being declared fit for work. The Work and Pensions Secretary lashed out after coming under fire over the figures – which his department is waging a legal battle to keep secret. 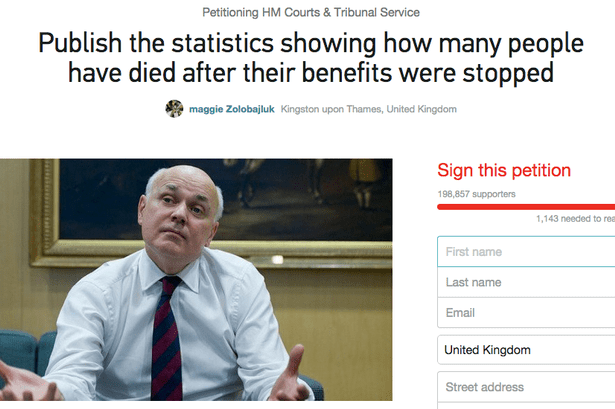 More than 200,000 people have signed an online petition by ex-welfare advisor Maggie Zolobajluk, 63, calling for the figures to be made public. But instead of addressing it he’s made a furious attack on Labour, two of whose MPs rounded on him in the Commons yesterday. He accused the opposition of ‘going out every day scaring and frightening people’ and ‘deliberately misrepresenting’ the government’s fit-for-work schemes. And he attacked Labour because the party introduced the work capability assessment in 2007, before the Coalition expanded it. Mr Duncan Smith replied: “I find it absurd that Opposition Members deliberately try to misrepresent what happens under such schemes. 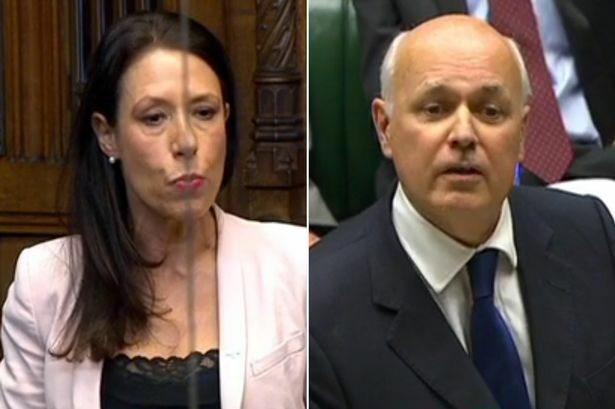 That made MP Debbie Abrahams thunder: “Does the Secretary of State think that he and his Department are above the law? But Mr Duncan Smith said: “I find it unbelievable that she, the honourable lady and others have spent all their time trying to make allegations about people going about their work. He also claimed his department ‘doesn’t collate the numbers’ at all – appearing to fly in the face of his own officials’ advice. His civil servants have openly admitted they collect the data, have published it before, and are planning to publish more in the future. Read the full ruling here. The Coalition’s welfare changes saw people told to find work despite having chronic illnesses – some of whom died before getting their benefits back. Tragic Mark Wood starved to death in David Cameron’s constituency four months after his benefits were cut – weighing just 5st 8lbs when he was found. 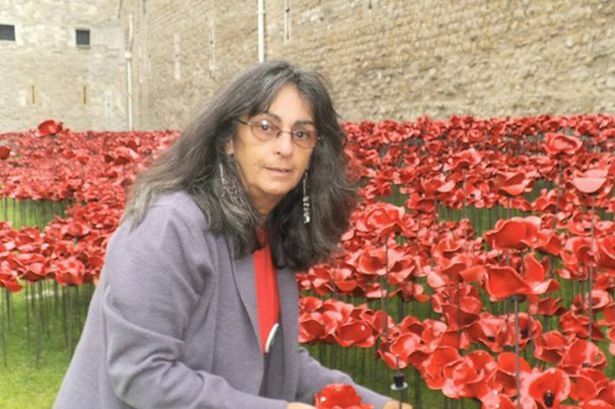 And ex-nurse Jacqueline Harris, 53, took her own life after she was ruled fit to workdespite having slipped disks in her back and severe pain. The request to release the figures was made under the Freedom of Information Act by campaigner Mike Sivier. He asked how many people who died between November 2011 and May 2014 had been found ‘fit for work’, or told they could move towards getting work. DWP chiefs said they were preparing to publish the information in their own time, and it’d be unfair to rush them – but Information Commissioner Christopher Graham ruled they’d acted unreasonably. Click here for the full petition. This entry was posted in DWP and tagged benefits, deaths, Debbie Abrahams, dwp, Fit for work, Iain Duncan Smith, ICO, Marie Rimmer, Mike Sivier, Petition, Vox Political. Bookmark the permalink.